Eating can be one of life’s greatest pleasures and also a meaningful way to learn about different cultures. As parents, we want our excitement for different foods and cultures to be contagious. We hope our kids will be open-minded about new foods and different cuisines so they might grow into healthy, knowledgeable, and culinary-interested young adults. But rest assured, I’ve got some great ideas to make this process more joyful. If you start introducing your kids to meals that are in their comfort zone and frequently expose them to new foods that you love, they will brave new tastes, too. Sponsored: This is the 3rd post in my collaboration with Revolution Foods (www.RevolutionFoods.com). 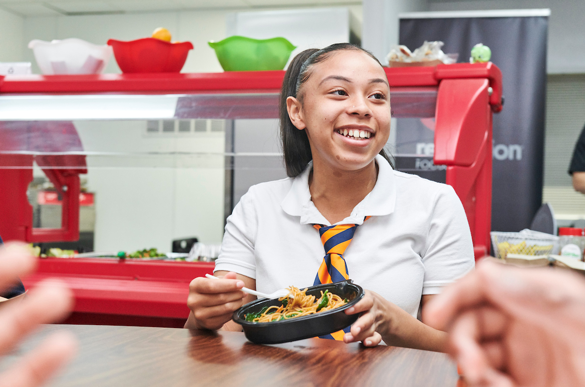 Each week Revolution Foods proudly designs, produces and delivers 2 million healthy, affordable, culturally diverse meals to schools and community sites nationwide. 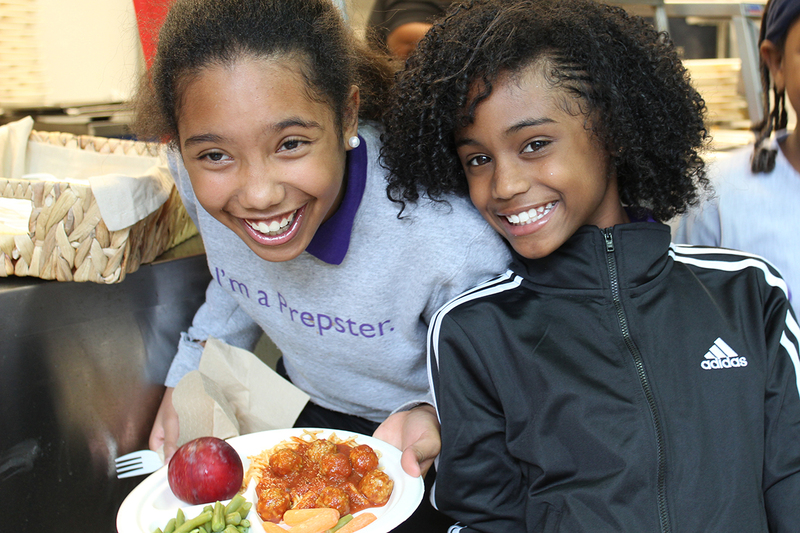 Revolution Foods is a big reason why kids are eating better in D.C. and nationwide. How I help clients make healthy eating a priority in the family. 1. Start in their comfort zone. Serve a familiar meal, like pasta, pizza, or mac-n-cheese but add a new side dish. For example, if you wanted to incorporate broccoli or broccoli rabe into macaroni and cheese, you might call it ‘mac-n-cheese with little trees,’ to make it sound more approachable for little kids. Or offer roasted or sautéed vegetables, which have more complex flavor than steamed veggies and pair them with a flavorful dip as a pasta accompaniment. One example: serve pesto in a side dish for kids, and encourage them to take a “try bite”. Make personal pizza or flatbread at home and experiment with different toppings. Be adventurous and try a Mexican pizza with refried beans, tomatoes, green onions, red peppers and cheese. 2. Associate new foods with a taste or flavor that your kids already love. My daughter loves Pad Thai takeout. Recently, I had some extra cauliflower on hand. I sautéed it in a pan, added a little soy sauce, and finished it with some toasted sesame oil. This Asian flavor combination closely resembles what she likes about Pad Thai, but all she saw was diced cauliflower that looked brown. Initially, she didn’t want to try the cauliflower until I told her it tasted like her favorite Pad Thai. Sure enough, she tried it and she liked it… a lot. Your kids may not always like vegetables flavored like a food they already love, but even if you get them from “no way” to “ok” and they try it out, you are doing a great job of exposing them to more flavors. 3. 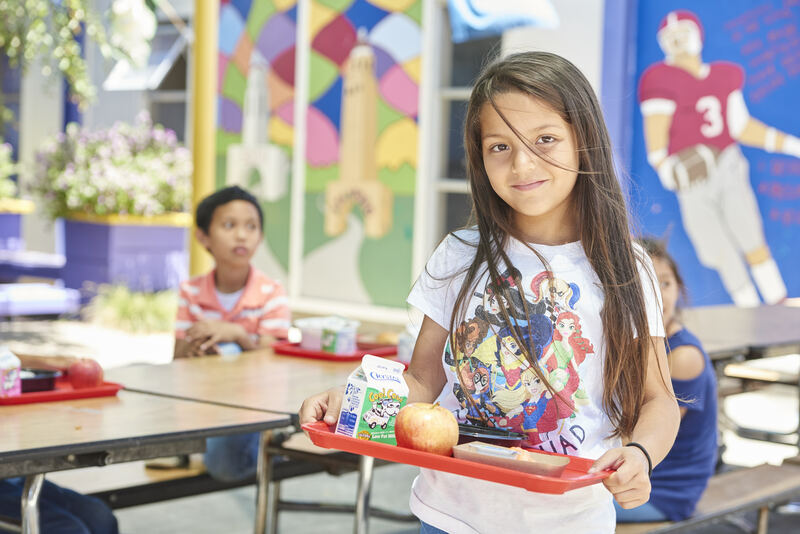 Let school lunch help your kids experiment with new cuisines. Need help getting your kids to try new foods at school? Talk to the school administrators at your kid’s school about a potential partnership with Revolution Foods. This company is a key partner for delivering nutritious, delicious, and culturally diverse meals that are kid-inspired and chef-crafted. 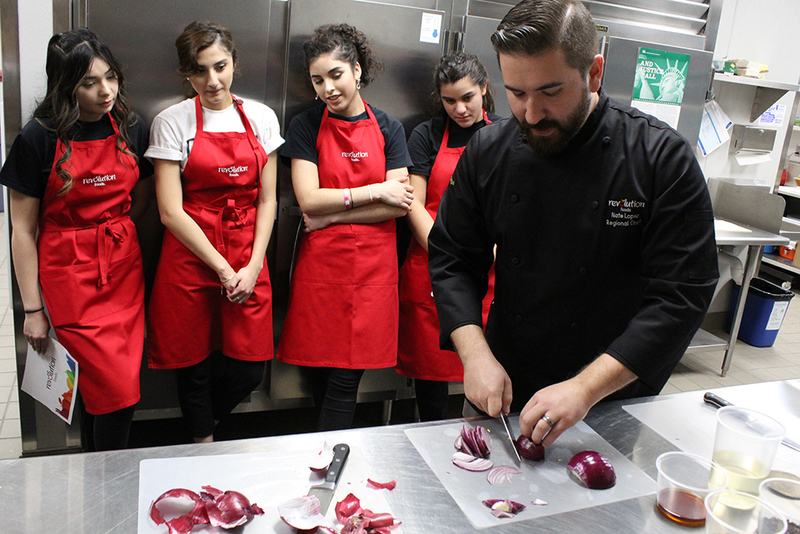 Revolution Foods’ chefs craft culturally and regionally relevant menus to deliver great-tasting meals that broaden students’ palates. They engage with students at every step of the development process to ensure a menu they’ll love, including monthly surveys of over 2,000 students. 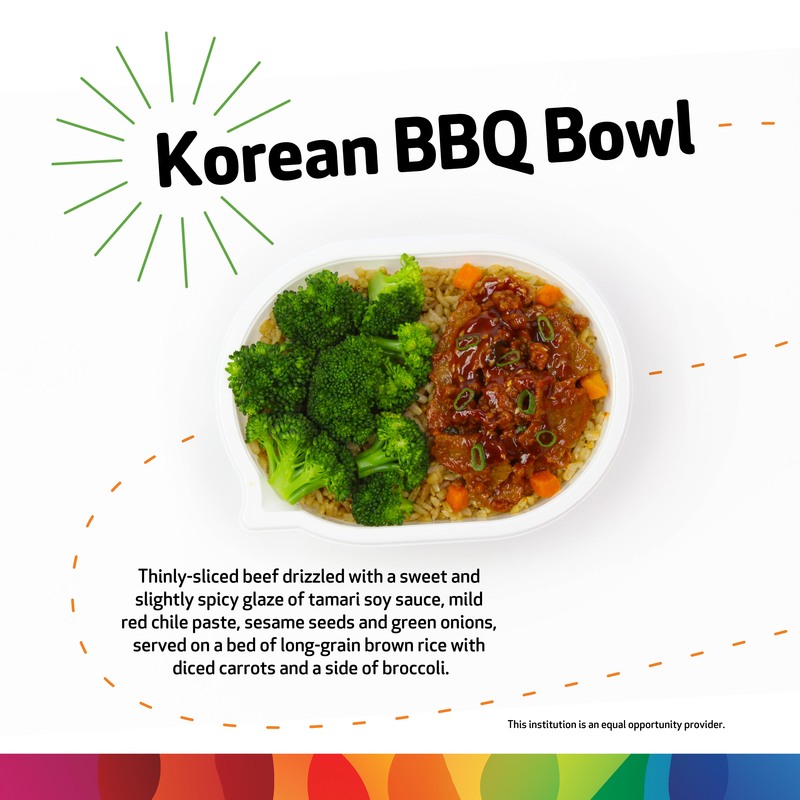 At Revolution Foods schools, students enjoy meals like Korean BBQ Beef with whole grain rice and a kid-approved BBQ sauce that gets its milder taste from ketchup, a familiar ingredient. 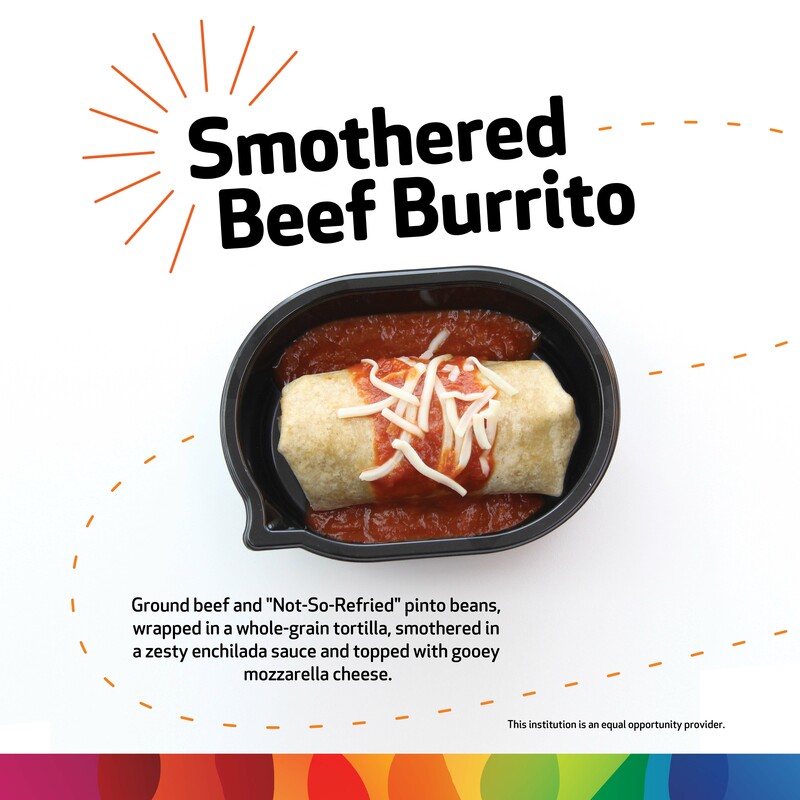 Another student favorite is the smothered beef burrito with whole grain tortilla and a blend of pinto beans, beef, and melted mozzarella cheese on top. Revolution Foods also partners with local, regional and national vendors to source high-quality ingredients that meet their clean label standards. 4. Make creating new meals a fun “challenge” at home. Have your kids help prepare a new recipe that introduces them to new flavors and ingredients, similar to what goes on during one of those cooking challenges that we’ve all seen on TV (they even have some with kids as the tiny chefs)! Go easy on yourself and start with simple recipes with a few ingredients. It’s OK to schedule these for weekends when you have more time. Or, make it a monthly challenge, and try two or three new dishes from different cuisines each month. 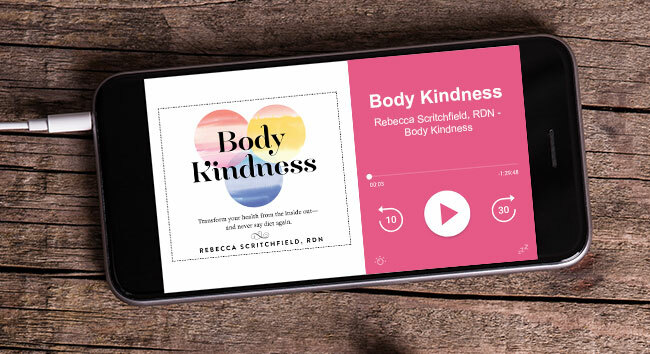 You’re teaching your kids about so much more than healthy eating patterns. You’re teaching them creativity, culinary skills (appropriate for their age level, and the value of experimenting and exploring with food. Try, explore and make food more meaningful. There you have it, my ideas to help kids explore more when it comes to diverse cuisines. Exposure to a variety of foods expands your kids’ preferences, builds a life-long love for eating, and enhances positive connections to foods and people from all parts of the world. Don’t give up. It’s a long-term commitment, and if your kids are anything like mine, they’ll give you whiplash from how often their food preferences change. Meet them halfway, and gently nudge them forward. For more help, don’t miss my previous Revolution Foods blogs. What are your kids favorite culturally-inspired cuisines? Leave a comment below.